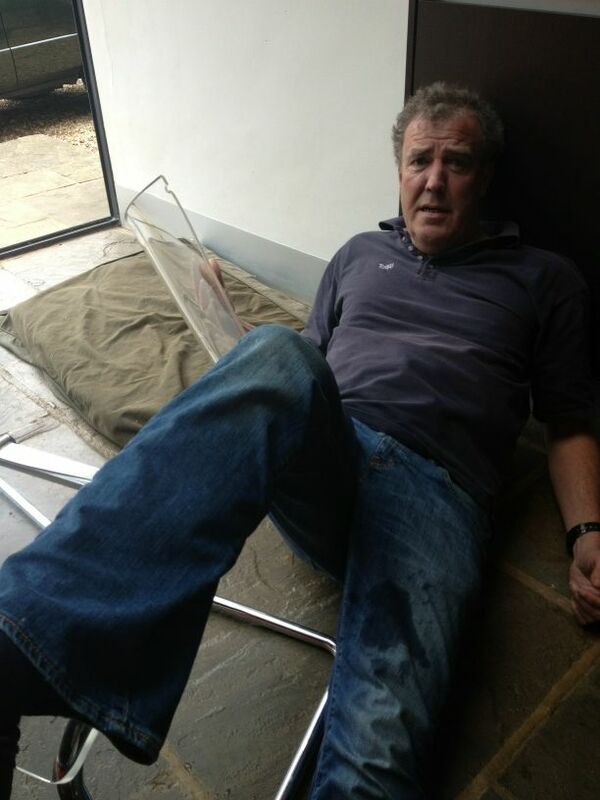 Caught at the Curb: Top Gear's Jeremy Clarkson Needs New Furniture. My second favorite presenter of our favorite television show of any kind, Top Gear, needs some new dining room chairs. Today was the second time that his plexiglass chairs have failed him. It may be the chair's fault, or maybe the good life is taking a toll on his waist line. He's turning into an American! Thanks to his daughter, Em, for the insight.